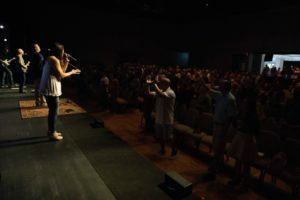 We have one mission at Christ Community Church, to make gospel-centered disciples among all people for the glory of God. This is not a new mission. This is the mission Jesus gave his disciples in Matthew 28:18-20. This is the Great Commission! Our desire is to equip you to fulfill HIS mission in your life. 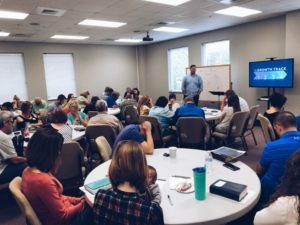 This Week at Christ Community is our way of effectively communicating with our faith family regarding important information about things going on in our church. I hope you find these emails helpful! Gain the World, Lose Your Soul? It’s Pastor Stuart here writing this week’s email and I am fired up about this weekend at Christ Community. There are three big things that have me excited. The first is that we’ll get to gather as a family and worship together. Now, this may not seem like a big deal, but it is. Every time God’s people get together to worship a risen Savior, Satan shudders! Singing the Gospel, hearing the Gospel preached, and encouraging one another in the Gospel is the highlight of my week. I need to be with my church family each Sunday and so do you. This week, Pastor Ronnie will be continuing our series in Mark. In chapter 8, verse 37 Jesus tells His disciples, “For what does it profit a man to gain the whole world and forfeit his soul?” When we meet together on Sunday, we’ll be showing the world that nothing matters more to us than Jesus. I hope you’ll be there to declare that with me. 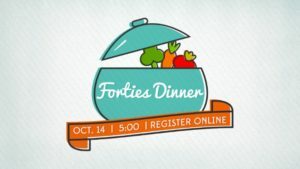 It’s Time for Our 40’s Dinner! There are so many other things going on in the life of our church, so be sure you check the website regularly. I am praying for Sunday’s service as we prepare to gather. We serve a great God and I can’t wait to worship Him with you all!